The ranking determines which teams play against each other. The Berlin Bombshells was established in May 2008 becaming part of the century old sports club Lurich 09. For the last four years, the Bear City Roller Derby League has followed the aims of making German roller derby popular and successful, competing at the top level in Europe and offering Berlin skaters of all levels the opportunity to play a challenging and diverse game. Among our biggest successes have been the organization of three European Roller Derby Conferences (E.R.O.C) and the first German Roller Derby Championship ROLL DMC in 2010. Stockholm Roller Derby is Scandinavia’s first roller derby league. In the spring of 2007 a gang of roller derby enthusiasts gathered. Since they’d never stood on a pair of roller skates and didn’t have anywhere steady to practice, the parking lots of Stockholm became the regular practice grounds. Slowly word started spreading and member applications suddenly exploded. The league went to 40 members in a couple of months. Interest is still growing; we now have around 60 active girls and the queue for our next tryout is stretching towards the horizon. WFTDA members since July 2011, the league have been eagerly anticipating the possibility of a ‘European Regionals’ and can’t wait to pit their skills against the best of Europe in this landmark event. Having been ranked 4th Seed for ‘TrackQueens’ they’ll be on a mission to prove that they can live up to this billing and the ‘Harder. Better. Faster. Stronger.’ mantra they adopted a couple of years ago. Hailing from Edinburgh, Scotland’s beautiful capital city and founded in April 2008, the Auld Reekie Roller Girls are proud to have become Scotland’s first full WFTDA member league last year. Having achieved a huge amount in a short period of time, ARRG trains both recreational and competitive skaters as well as offering a place for our family of officials and helpers. Our travel team, the Twisted Thistles have played numerous bouts across the UK and Europe this year, building up experience and challenging ourselves every step of the way – playing in this tournament will be a fantastic way to end the 2012 season. Glasgow were the first flat track roller derby league to be established in Scotland and the fourth in the UK after London Roller Girls, London Rockin’ Rollers and Birmingham Blitz Derby Dames. Founding members Teri Toxic and Mistress Malicious drummed up interest through MySpace and the first training session took place on Sunday 29th April 2007. Glasgow also became an Apprentice League of the US-based Women’s Flat Track Roller Derby Association (WFTDA) during 2011, and continued to play to packed venues both home and away. 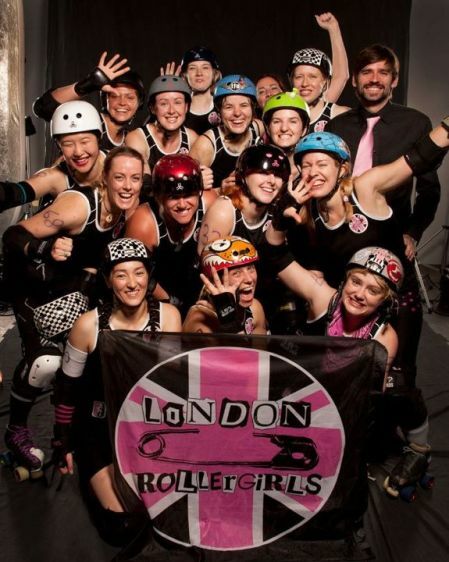 In 2012 the club was also rebranded as Glasgow Roller Derby rather than Glasgow Roller Girls to reflect the direction and ambitions of the club. Formed in October 2007, Leeds Roller Dolls are an all-female, flat track Roller Derby League based in Leeds, West Yorkshire. Leeds Roller Dolls were the first Roller Derby League in Yorkshire and continue to run by their ethos of “for the skater, by the skater”. The skaters of Crime City Rollers are well known in Malmö, whose citizens have skated with us on Night Skate-events, tried out rollerderby at city festivals and danced at our afterparties. In derby CCR are known for their solid walls, strong jammers, love of officials and hospitality to visiting leagues. There are no limits to CCR- arranging the first bout in Sweden, booking 4000 capacity hall, skate-outs with lasershows and flying in Juke Boxx and Medusa from Team USA for a bootcamps. Helsinki Roller Derby was founded in March 2009 by a group of Finnish women who discovered that what they were missing in their lives were big hits, booty blocks and skating at high speeds. Now 3 yrs later the league has nearly a 100 skaters deeply in love with the sport. Many of it’s A-team skaters were part of Team Finland that ran 5th in Canada at the 2011 Wold Cup. HRD has been a full WFTDA member league since September 2012. 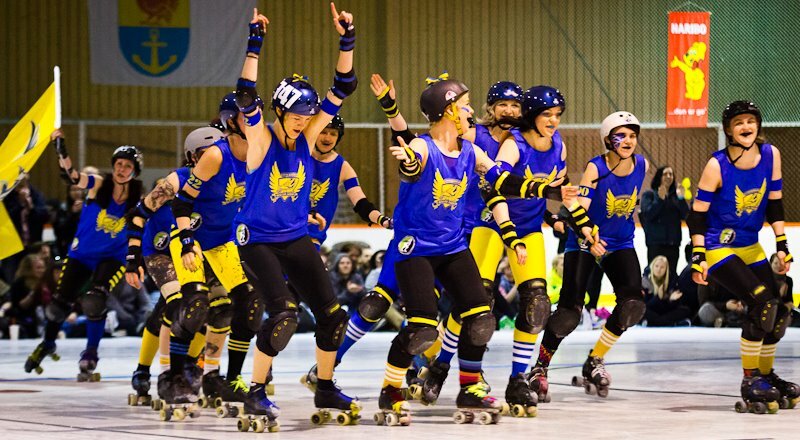 Gent GO-GO Roller Girls is Belgium’s first roller derby team and WFTDA apprentice league. GO-GO Gent hosted Belgium’s very first roller derby bout in January 2011, the same month they became the sixth European team to get accepted into WFTDA’s apprentice league program. With home bouts against Brighton, Berlin and Essen, and away games in Stuttgart, Paris and Copenhagen, GO-GO Gent is steadily gaining competitive experience. Today, over 50 skaters and referees practice three times a week, collectively working towards increasing agility, endurance and strategy, while having a great time playing this amazing sport.